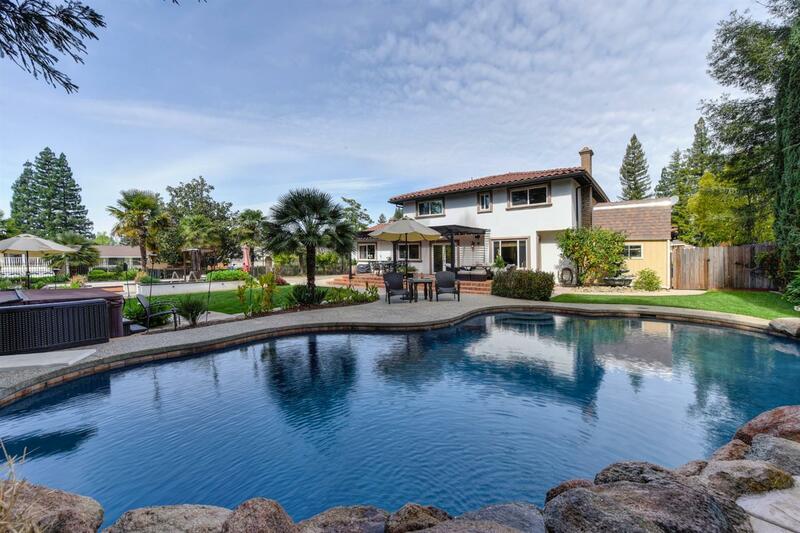 One of a kind Spanish style home available with a dream yard and a circular driveway. This is on a corner lot in American River Canyon South within Folsom School District. Two RV accesses on both side of the lot. In the last year the home received New stucco, new tile roof, new windows, new iron front doors and new quiet garage doors. The pool was resurfaced and got new equipment including a heater. The back got new landscaping including concrete, raised planter beds, bocce ball court, dog run and storage shed. Kitchen has been remodeled and downstairs has real wood floors. Reclaimed wood beams and mantle in living room finish off this home with classic beauty.